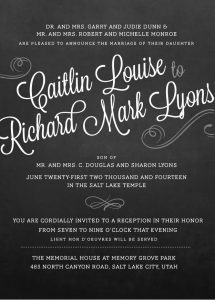 Cute and stylish chalkboard wedding invitations will have your guests smiling when they think about your upcoming wedding day. 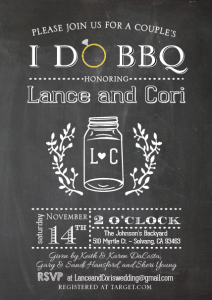 Chalkboards are a hot trend in wedding decor fashion. 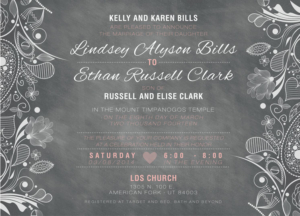 Everything from photo booths to guest seat place holders are featuring this cute new style. 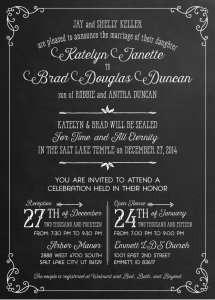 You can even use chalkboard paint on objects like champagne glasses to help guests keep track of their drinks! 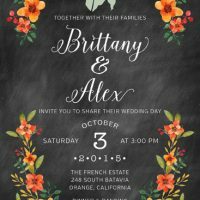 Chalkboards are everywhere! 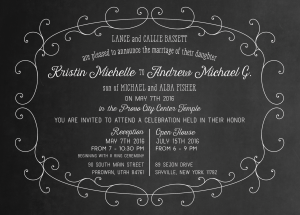 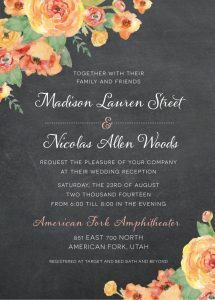 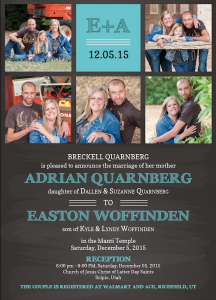 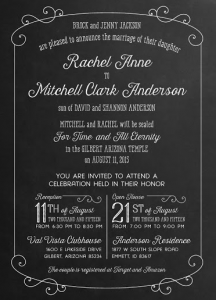 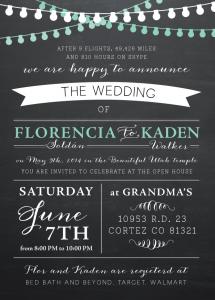 Why not get in on the fun look with your own custom designed rustic chalkboard wedding invitations? 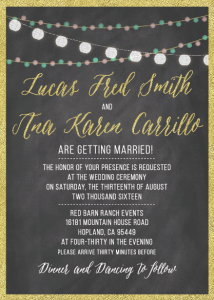 Wedding announcement on chalkboard style paper open up the possibilities for lots of fun, creative fonts and design styles. 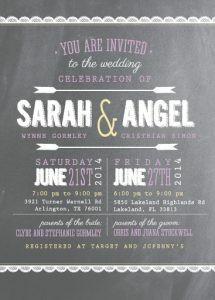 You can combine a variety of elegant font styles with some more casual or playful fonts to create a contemporary look. 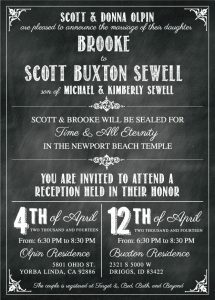 Some brides even opt for a handwritten looking font. 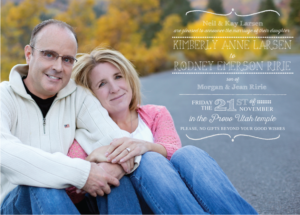 The choice is yours and the possibilities are endless! 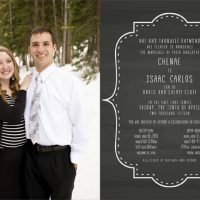 Browse our gallery for more style ideas or reach out to us today to get started. 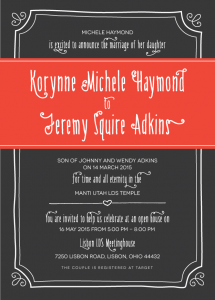 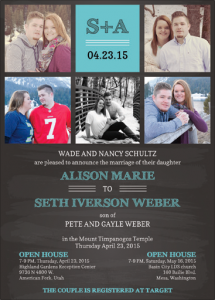 What’s different about The Invitation Maker? 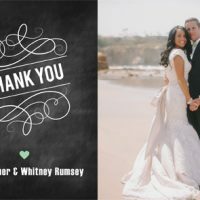 After working with thousands of brides, we know you are under stress, and we do everything possible to make the process easy and smooth for you. 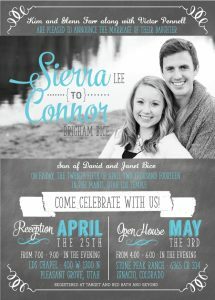 Our designers are well-versed in the latest styles and trends so you don’t have to worry about your invites looking cookie cutter or dated. 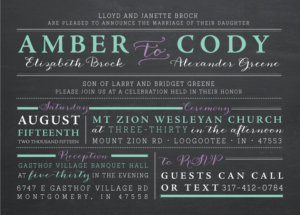 The Invitation Maker knows what it takes to get invitations looking gorgeous on a budget. 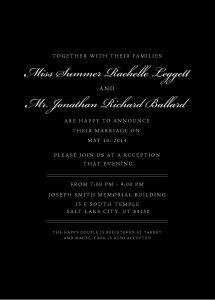 Budget concerns are top of the list for many brides when looking at invitations, especially if you are in the early stages of planning a wedding, and unsure of what other costs you have in store. 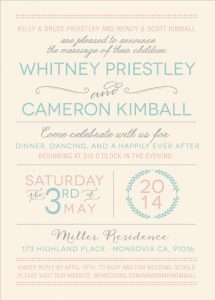 That’s where we come in, we demystify the guessing game of how and where to get great invitations at a low price. 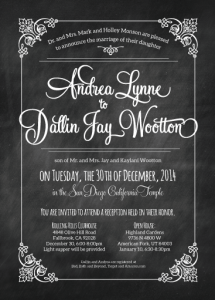 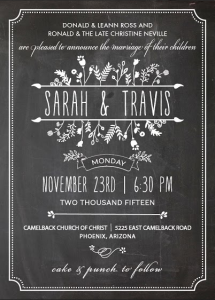 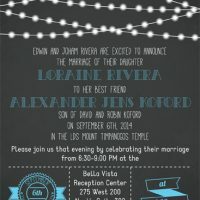 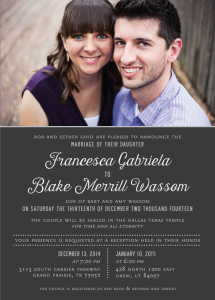 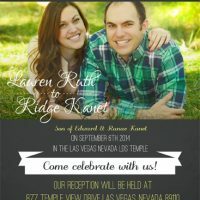 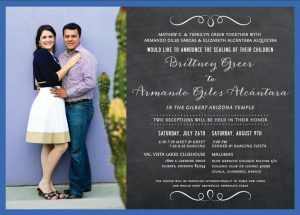 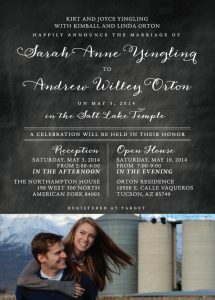 Get your beautiful chalkboard wedding announcements started at theinvitationmaker.com right away!